Those who accuse Christianity of inciting horrific violence offer several lines of argument in support of that accusation. I want to begin by laying these out briefly and plainly. Christianity can be a force for the good, but in the past it has also been a force for evil. In our own day, Christian fundamentalism encourages bigotry, rigidity, willful ignorance, and self-righteous condemnation of anyone who disagrees. Political violence puts such tendencies into action: “they”—whoever "they" are at the moment—deserve death. Or torture. Or execution by the state. Other Christians cannot brush aside such facts with a wave of our hands, claiming that some people simply fail to live up to Christian moral norms as we understand them. The problem of religiously-motivated political violence cannot be brushed aside. Given our technological ability to kill vast numbers of people safely and from a distance, we cannot afford to ignore traditions within Christianity—some quite ancient—which provide ideological justification for violence. Christian humanism and the moral imagination provide a deep, powerful antidote to these dangerous tendencies. The key antidote is simple: the image of God dwells in every human being. We must above all respect the image of God in everyone, even our enemies. That's not to deny that we have enemies. We do have enemies, some of them quite dangerous. But a God defined by compassion—by chesed, by agape—calls us to be in touch with the sources of compassion deep within consciousness. That God also calls us into personal relationship with this deep, extraordinary, inward well of compassion—a topic I address fully in Confronting the Old Man in the Sky [forthcoming], chapter 6 and 7. This complex spiritual summons has political implications. And in this volume, we will be exploring those implications together. How has Christianity related to political authority in the past? Crusades, for instance. Inquisitions. Christian theocracy. All of that. And not only that. The abolition of slavery. Universal human rights. Courageously nonviolent protests against injustice, peaceful protests appealing to the hearts and to the humanity of bystanders. In short: the political impact of Christianity has been insanely contradictory. I propose a open-minded examination of these insane contradictions. They're important. They're important because Christianity continues to exert a major cultural influence on our politics. How has this influence been felt in the distant past, in the recent past, and how it is visible today? And then, heaven help us all, tomorrow? Above all, why and how has it been so influential? Do reasonable people—Christian or not—have a say in any of that? Getting the relationship between Christianity and politics straight in our minds is much like getting straight the relationship between religion and science. It's high-stakes stuff. If Christianity can't help us to live wisely in our own century, then it's merely an artifact from our cultural past—and quite possibly a toxic one. It's not a living religion. Only a living religion can adapt wisely—and by the grace of God—to the rapid cultural changes of recent centuries: industrialization and global trade, urbanizing, the rise of high technology, the advent of electronic communications, and the facts of catastrophic climate change. Humanity now has the military capacity to extinguish all life on this planet, even if we don't kill ourselves off in some other way. A religion that can't help us prevent such disasters isn't worth much. Christianity can help us cope. But the first way in which it does so is by providing the moral courage to learn from what has gone wrong with Christianity in the past. These are failures which the Religious Right continues to exploit. The first and no doubt most familiar line of argument against Christianity is its historical record of remarkable intolerance: crusades, pogroms, inquisitions, and all the atrocities these have entailed. Christians have had a nasty habit of murdering people who think differently than they do—including, at times, other Christians. At one point, disagreeing with Christian orthodoxy might have gotten you burned at the stake. Murder in the name of God has a long history among those who call themselves Christian, and despite the systematic nonviolence of Jesus himself. Even short of inquisitions and crusades, Christianity has an appalling record of abusive authority. As Lord Action famously remarked about papal infallibility, “Power tends to corrupt, and absolute power tends to corrupt absolutely. And so it has: look at pedophiliac bishops and fraudulent televangelists. Look at narrow-minded local clergy. A friend of mine, a preacher's kid in a small town, had a friend who recognized in high school that he was gay. This boy went to the pastor to talk about homosexuality—and then committed suicide. Forty years later, my friend is still haunted by guilt about what he believes his father would have said to his friend. And who knows what devastating grief and guilt his father might have felt. There's toxic religion for you. There's no denying this record of abusive authority. Such abuse follows inevitably from Christianity's theocratic role as the grammar of power in Western culture. I'll tell that story in more detail shortly. There is a second line of argument supporting the claim that Christianity is inherently violent. The claim is this: Christianity is inherently violent because it counsels radical passivity: you are a sinner and a bonehead besides. Your job is to obey. Do not ask questions. Thinking for yourself is sin and possibly heresy. But some of us do think for ourselves. Some of us are thinking all the time no matter what. Such attitudes strike us as intolerable. Many of us walked out when we first ran into it, and many of us never looked back. Radical passivity can take several forms, all of them malignant. One form is mindless obedience to institutional authority, no matter how abusive. Another form is mindless obedience to what somebody says is the unquestionable Word of God—the Bible as authorities interpret it. A third form is passive acceptance of earthly evil, no matter how egregious, because “getting to heaven” is what really matters. Fourth, and by far the most subtle, radical passivity locates morality and the source of morality “out there” someplace, most commonly in the hands of God imagined as an old man up in the sky issuing commandments written in stone. As that God becomes improbable, as that God becomes easily deconstructible, morality in a post-Christian culture can be left without any foundation at all. That situation in turn tends to encourage rigid, absolutist, reactionary religious authority. Moral chaos encourages religious totalitarianism, just as civil chaos encourages dictatorship. I contend that radical passivity in any form is a turning-away from our own moral capacity to seek the good and to resist evil. Pathologically passive Christianity isn't violent in the sense of acting violently, although when the pope called for crusaders people certainly did respond. Pathologically passive Christianity is violent in its social consequences, which is to invite or to enable the abuse of authority. This critique of radical passivity underlies an array of famous Victorian objections to Christianity, thinkers grouped today under the label “Masters of Suspicion.” I'll get to them in chapter 5, below. There's a third reason to take seriously the classic accusation that Christianity is inherently violent. In my mind, this is the most valid reason of all. It's also the most pointedly theological, so please bear with me here for a moment. The familiar claim that “Jesus died for your sins” is properly called "atonement theology.” It's not original to the tradition. And over the centuries there have been multiple theological efforts to mask or to reinterpret some of its more repugnant aspects. I do not find any of these efforts persuasive. I can explain why in just a couple of paragraphs and without theological jargon. Atonement theology portrays the death of Jesus as an archetypal instance of redemptive violence. That is, our own horrific violence can be justified by the good results that follow from it. If the death of Jesus was a moral good, then it’s possible for violence to be morally acceptable. Violence can be virtuous. 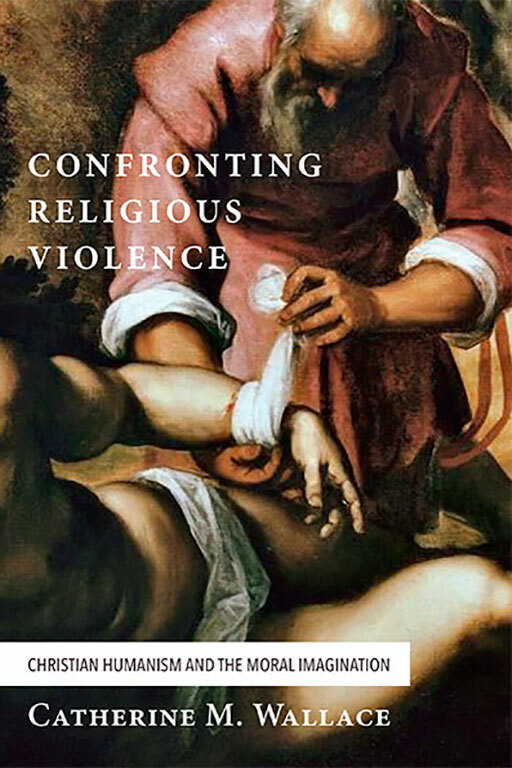 And not just virtuous—violence can be holy. Violence can be God-like. Violence can be morally necessary. It can be inevitable. It can be required of us. And why is that? My answer is an if–then bit of logical inference. If God is all-good, all-loving, all-virtuous, all-powerful, all-everything, and if even God himself has no alternative to inflicting horrific violence first on Jesus and later (and eternally) on the vast majority of humanity, then surely there will be times when we are equally justified in our own violence. If the stunningly brutal death of Jesus was not wrong for God to want or for God to arrange and enact, and if God's brutal torture in “hell” for an eternity is not morally objectionable, then surely brutal violence is legitimate for us too. Of course violence is only legitimate for us if the target of our violence “deserves” whatever we are planning. Or if some unequivocal good for us flows from the blood we have shed and the lives we have shattered. Unfortunately, we have seldom lacked confidence that they deserve it and we will benefit from victory over them. I can't imagine a better justification for the first use of nuclear weapons. The ends can justify the means, no matter how many millions of people will die. That's how we justified our use of nuclear weapons in Japan: the ends justified the means. Better that all these Japanese people should die than allow an invading American army to suffer the remarkable casualties a ground invasion would have entailed. If we use nuclear weapons again, we will say the same thing. Better them than us. They deserve it. The same arguments will be made by anyone who uses a WMD gainst us. In short, the stakes couldn't be higher. As we all know, violence elicits more violence. That endless spiral is the tragedy of human history. As our weapons have become more advanced, the cycle of vengeance and revenge for vengeance has become more primitive, faster, and more devastating. Atonement theology claims that revenge is holy. Atonement theology elevates the cycle of revenge into the nature of God himself: Adam and Eve sinned, and so God had no choice but violent revenge. That's why rejecting Christianity for its apparent violence is such a morally honest and responsible position. And yet—and yet—there are centuries of theological reflection and spiritual resources outside of and opposed to the bloody illusion of redemptive violence. This tradition does go back to Jesus himself. It offers the quintessential Western antidote to cycles of reciprocal systemic violence. If radical right-wing militaristic-neocon “religionism” is a toxin, then authentic Christian spirituality and theology offer an equally precise antidote. Or, to shift metaphors, authentic Christianity is a source-code fix at the very heart of Western cultural operating systems, repairing a bug introduced by changes to that code centuries ago. That's why Christianity matters even for non-Christians. In chapter 2, I'll begin as always by telling some stories. These stories recount moments in my own life when the problem of redemptive violence came to the surface. In each situation, I didn't quite know what to say. In chapter 3, I'll offer a sociological analysis of the role religion plays in state authority. That will include a short discussion of the Masters of Suspicion—Marx, Nietzsche, Freud, and then Foucault. And a little Sartre. All of them offer devastating criticism of the sociological influence of Christianity. Chapters 4 through 8 will be a quick survey of Christianity-and-politics in Western history: the so-called “conversion” of Constantine, the political implications of the famous Nicene Creed, and two case studies exemplifying the classic problems involved in Christian theocracy in the West. In the first case study, the Emperor Theodosius is bested by Ambrose, the powerful bishop of Milan. In the second case study, the powerful emperor Charlemagne demands—and gets—major changes to the Christian worship service. The changes he demanded are the foundation of atonement theology. They provided theological cover for his brutal campaign against the Saxons. Once we have that history in hand, it's possible to ask the major question bluntly and forthrightly: is God violent? That's chapter 9. In that chapter I'll summarize in plain, down-to-earth language the major work-arounds whereby Christian thinkers have attempted to maintain the belief that God is not violent even though Jesus died to protect us (supposedly) from the wrath of God. Some of my fellow Christians—and in fact some of my best friends—won't be satisfied with chapter 9. For them, and for anyone else who grew up more or less comfortable with atonement theology, I offer an Appendix on Sin, posted on my author website, CatherineMWallace.com. There I say more about how I understand sin and guilt, and the psychodynamics of sin and guilt. In rejecting atonement theology as bluntly as I do, I am not denying the reality of human wrong-doing. I'm saying only that atonement theology fails to direct us wisely in responding to the reality of sin. But—fair warning—even in this appendix, I will not be "doing theology" in the usual academic sense. I will continue writing in down-to-earth, pragmatic ways that are accessible to anyone. How is the moral imagination an antidote to this Christian heritage of violence, complicity in violence, and sacralizing of violence? That's chapter 10. At that point I'll describe what Christianity would look like if it were to stop proclaiming that Jesus saved us from the righteous wrath of a violent God, returning instead to Jesus's proclamation that God is fiercely, relentlessly compassionate. If Christianity were to return to its roots as a way of life based upon compassion, it would then become free from loyalty oaths (like “believing the Nicene Creed”), free from anxiety about other religions, and free from vengeance and revenge as moral obligations. In short, it would reclaim nonviolence, as controversial a teaching as any that Jesus ever offered. Finally, in chapter 11 I'll sketch how Christianity—like other global religions—can offer an antidote to religionized violence. It can do so by teaching and sustaining virtue, not by legitimating and provoking vengeance against evil-doers. But first, a story. Our collective cultural backstory matters because it permeates our own personal stories far more powerfully than most of us realize. Let me tell you about some moments in my own life when I stumbled into that recognition. John Dalberg-Acton, Letter of Bishop Mandell Creighton, April 5, 1887.